Impress yourself with your beautiful floors when you use the Dyson DC24 All-Floors Lightweight Upright Vacuum. Ultra lightweight and compact makes vacuuming with this machine effortless. The Dyson "Ball" technology turns the vacuum on a dime with no loss of suction, combined with the patented Root Cyclone technology makes this one extreme powerhouse of clean. Many vacuums use filters to trap dirt, which can cause clogs and suction problems. But Dyson, maker of the world's first cyclonic bagless vacuum, features technology that uses centrifugal force to separate dirt out of the airflow, so the vacuum doesn't clog. Dyson proves no loss of suction using the IEC 60312 Cl 2.9 test standard. As the only vacuum to be certified by the Asthma and Allergy Foundation of America and featuring Clean Exhaust Air, it's easy to see why Dyson is an excellent choice for all your floor surfaces. One lucky winner will receive a Dyson DC24 All-Floors Lightweight Upright Vacuum. Giveaway ends August 31st at 11:59pm, open to US and Canadian residents, ages 18+. To enter please use the Rafflecopter form below. Good luck! Thank you to Mom Powered Media owners: Mom to Bed by 8, Powered By Mom and Real Mom Reviews for organizing this event. 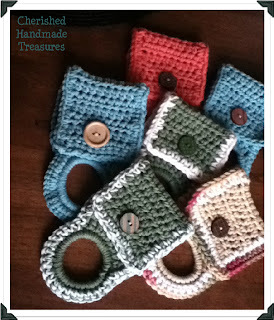 Make sure to visit our fantastic co-hosting blogs This Mama Knows, To Sew With Love and Life With Levi. a Rafflecopter giveaway Disclosure: I received no compensation for this publication. My opinions are my own and may differ from those of your own. Cherished Handmade Treasures is not responsible for sponsor prize shipment. My entire house would benefit from a Dyson. I WANT THIS SOOOOOOOOOOOOOO BAD!!!!!!! Please feel free to post your thoughts or comments here. And thanks so much for stopping by! and I will follow you back! This is the dish cloth pattern I used to make the matching dish clothes for last Monday's towel topper post. Visit Cherished Handmade Treasures's profile on Pinterest. 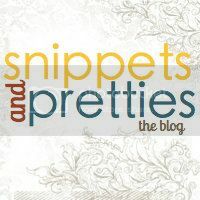 Sign up for our free blog hop remindinder list! I'm PR friendly! Contact me. If you like what you see, VOTE for me!